We all have bank accounts as per our requirements. Those who are in service industry have their salary account, those who are in self service they are maintaining multi accounts like savings, recurring accounts in one bank or more than one bank. So, bank accounts are important in our life, so I was thinking to explore this topic as per my knowledge and information. 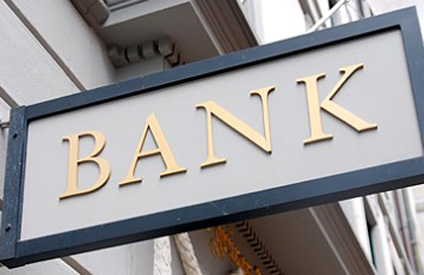 In this content you will get to know the information on basic bank accounts. This is your current account where you can make your regular transactions. A salary account is also one savings account. But in salary accounts you need not keep any minimum amount while opening it. In maximum cases salary accounts will be a zero balance account. But in case of general savings account you need to maintain a minimum amount and also need to pay an amount while opening the same. This depends on the respective bank. A recurring account is a good option for small investors for a short span of time. This is a monthly deposit scheme where a sudden amount you need to keep for a period of time. The monthly payable amount will be same and after completing the period the bank will give you the total amount including your deposited amount and interest. The interest rate will be varying as per the deposit period and also the finance department of the respective country. Now to open a recurring account you must have a savings account in that respective bank otherwise you are not allowed to open the same. And after completing the recurring deposit period the matured amount will get credited to your respective savings account. For a fixed deposit you can go for any period but your interest rate will vary according to the time. In fixed deposit the interest rates sometimes vary from bank to bank but every country does have their individual interest structure. Fixed deposit schemes are very effective for both short and long-term investors. In this deposit scheme the deposited can earn interest monthly, quarterly or even half yearly also. But if you will take the interest after completing the period then your total interest amount will be higher than the rest because cumulative interest rate is applicable here. For opening fixed deposit schemes you have to open a savings account with the respective bank because here also after maturity your total amount including interest amount will get credited to your savings account. The above mentioned rules and process will get changed from time to time as per the finance department of the respective country.